The high street has had to meet many significant challenges in the last decade with the development of new technologies and the shift in buying behaviour. Online shopping has given customers unprecedented choice, knowledge and convenience at their fingertips, this has intensified competition and caused an erosion of traditional brand loyalties. The digital transformation of the retail sector has pushed many companies to downscale their operations or transform their older technology to meet the new buying behaviour of their customers. This typically can lead to a large amount of redundant IT hardware that could be putting the organisation at risk of data breach and potential fines, as well as presenting a missed opportunity for additional revenue and cost cutting. Many retailers may not have the internal expertise or knowledge to recycle and data wipe their technology in order to comply with the GDPR and the WEEE Directive or the sales channels to resell the redundant hardware and maximise any residual value from the equipment they may have. We have helped many retailers meet these challenges, we can data-wipe, recycle, and resell your redundant hardware, right sizing your IT solution, creating additional revenue streams, reducing costs whilst lowering the risk of data loss or breach. Reuse, resale or recycle – we’ll advise you of any residual or resale value of hardware audited which can be used to off-set the recycling cost or taken as revenue or a service credit towards any future engagement. 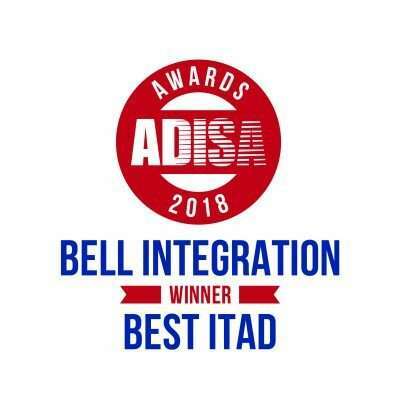 Bell Integration helping transform retail. Digital Transformation - We provide the knowledge and experience to create bespoke retail technology solutions that smooth business processes, improve control and enhance the customer experience. From digital content, EPOS, e-commerce, through to finance and security applications, we transform retail clients technology. Digitalise your shop window - Use our AV rental services to increase demand and drive footfall. We helped a leading high street fashion retailer by installing LED displays across 90 stores. Utilising a centrally managed web portal, the customer was able to upload and control content to screens on a store-by-store basis, using visual assets to promote key stock items with video footage and still images. Using rental enabled the customer to create promotional digital window displays across the store network without capital investment. Interactive shopping experience - Whether its rental or a permanent installation, we can modernise your shop floor. We worked with a leading supermarket to refurbish 900 stores providing touchscreens and digital signage that were connected via the cloud to create a interactive and immersive shopping experience. This allowed their head office to be tactical and highly targeted with special offers that fit the demographic, season, time of day or any special occasion. Software Analytics to fight fraud - We worked with SECOM to leverage the power of the IBM i2 iBase intelligence system to proactively tackle in-store crime and enable significant operational savings for the CO-OP. Creating a solution that analysed real-time data and intelligence captured from our surveillance systems along with other siloed databases, including crime reports, in ultra-fast time. Seamlessly analysing this data to generate insights that could be used to proactively tackle incidents in-store and bring criminals to justice. Our solutions help lower costs, increase demand, combat fraud and maintain compliance. We have worked with a leading fashion retailer for over 5 years, recycling and data-wiping over 22000 individual items. This has created addition revenue for the customer and ensures that their redundant IT and EPOS hardware is risk free of data breach.